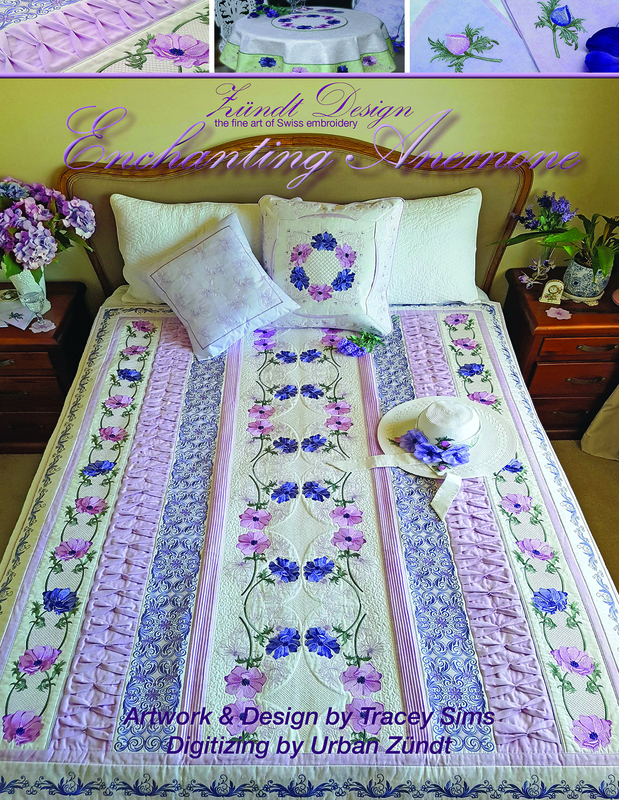 This design collection and project book includes 44 stunning floral, ornamental and lace embroidery designs and 9 beautiful projects. 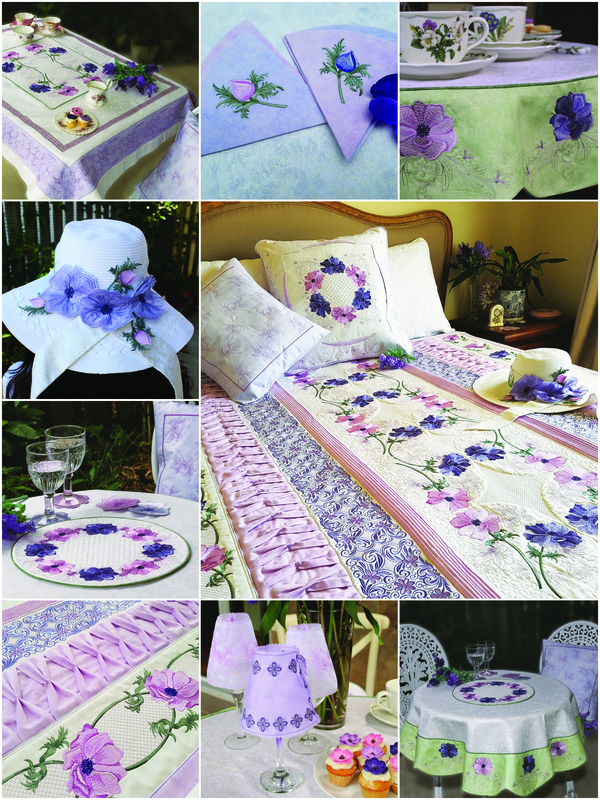 An elegant quilt showcasng the beautiful Anemone and ornamental embroidery designs as well as fabric manipulation. Two delightful tablecloths, a table centre piece, napkins, light shades and a lovely sun hat. 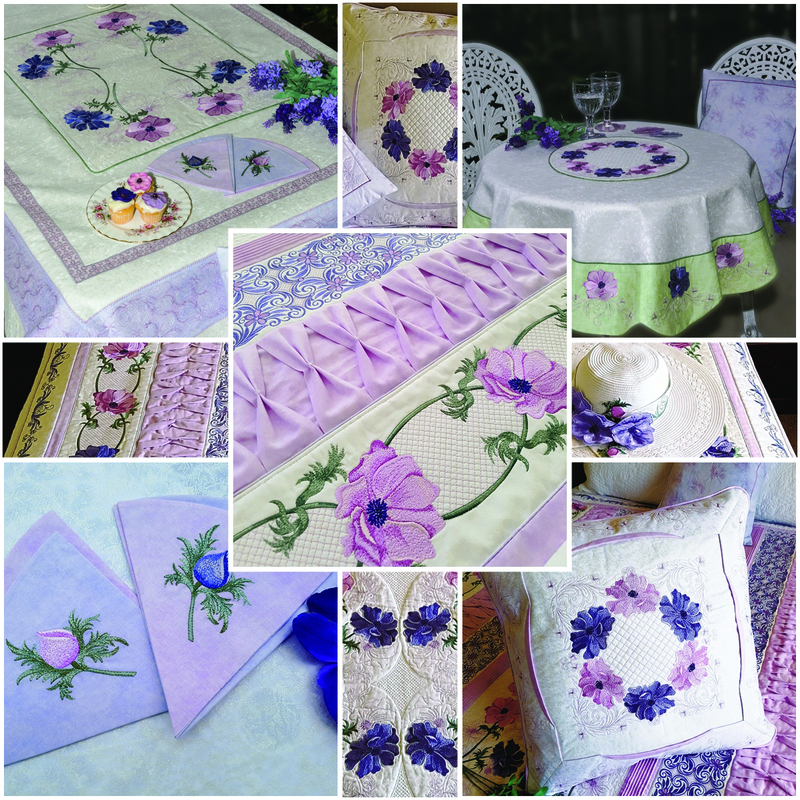 An elegant quilt showcasing the beautiful anemone and ornamental embroidery designs as well as fabric manipulation. 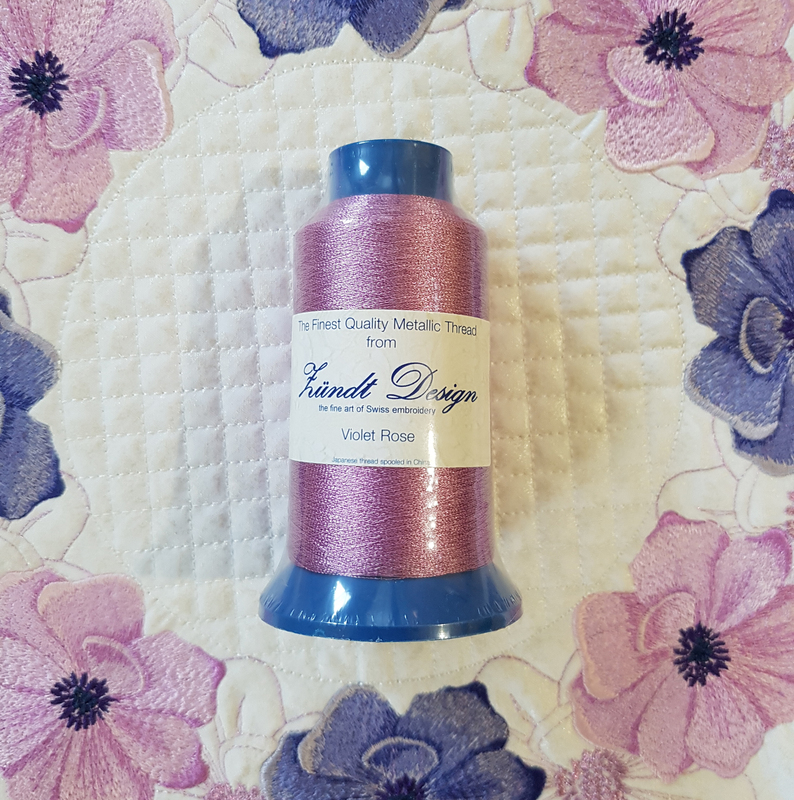 To complete these stunning projects you will need Violet Rose and Pearl White Metallic Threads.